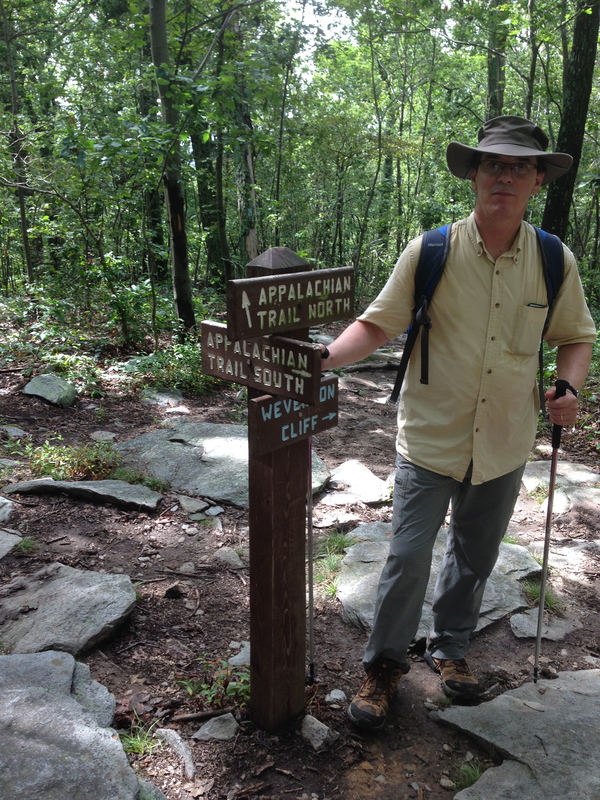 On Sunday, Tod and I hiked Maryland sections 6 and 7 of the Appalachian Trail, from Gathland State Park to Harpers Ferry. We parked one car at the visitor’s parking area of Harpers Ferry (a little over a mile from the trailhead) then drove to Gathland State Park to begin our hike. The trail going south was really wonderful. Compared to our recent hike, we found the trail to be wide and relatively free of rocks. We could actually look up every once in a while without losing our balance! I found myself zipping along with wide strides. Before we knew it, we had reached the Ed Garvey Shelter, named in honor of someone who was a devotee of the AT. Along the way, we found areas where we could veer off to look over a vista. However, this is best done in fall and winter when the trees have no leaves. A sign of the ease of the trail was the fact that we saw quite a few dogs on the trail. This section is very do-able for four-legged friends. The trail is pretty flat, except for an area about halfway to our destination (about five miles in) that had some rocks and some elevation. Before long we were going downhill. We then reached the Weverton Cliffs, a beautiful place to sit for lunch while enjoying the view of the Potomac River and three states (Maryland, West Virginia and Virginia). After that, the trail makes a steep turn down, zigging and zagging until we got to the bottom, crossed a road, and met up with a train. We were soon able to cross the railroad tracks and were on the C&O Canal. Bikers flew by as we enjoyed the view of the canal to our right and the river to our left. 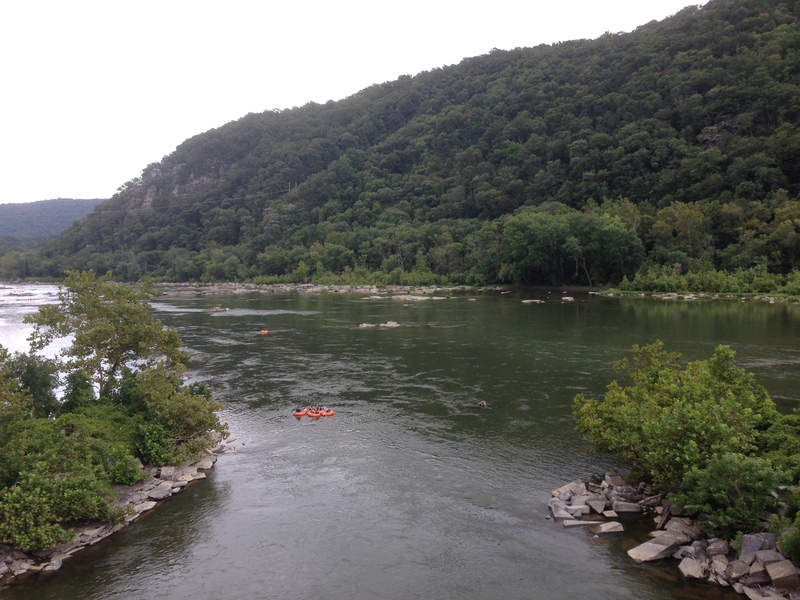 After about 3 miles we were back to Harper’s Ferry. We crossed a bridge going over the river. It was kind of amusing to see so many tourists since this was still, technically, part of the AT. Overall, we went 10.4 miles on the AT and then another +1 mile just to get back to the car. This was a fast-paced hike, even though it was one of our longer ones. 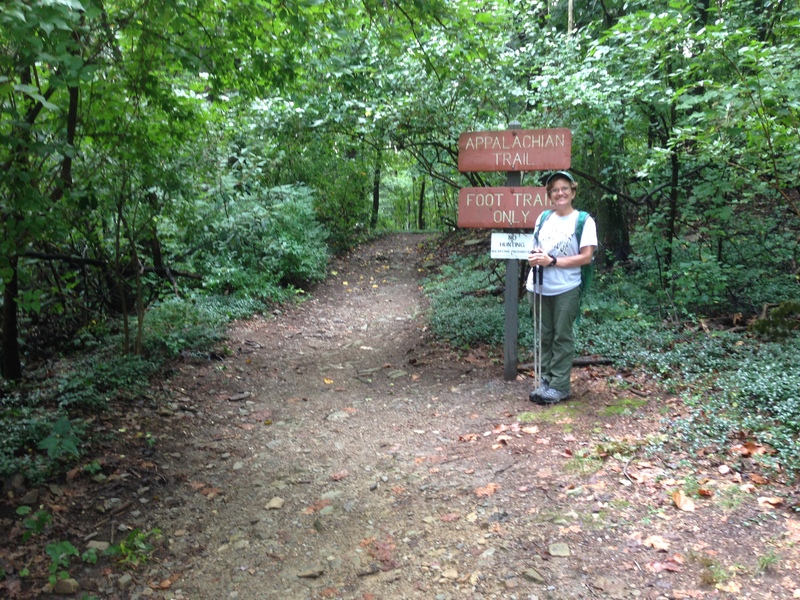 Now we can say that we have hiked the entire Maryland portion of the AT. On to our next challenge! This entry was posted in Maple's Jots on Jaunts, Maryland hikes and tagged A.T., Appalachian Trail, day hikes, Gathland, Harpers Ferry, hiking, Hiking Maryland by Maple. Bookmark the permalink. Congratulations! Did you get the AT-MD patch at the ATC in Harper’s Ferry?